Koraput: The Central University of Orissa celebrated 4th International Day of Yoga in a befitting manner at its Landiguda campus, Koraput on 21 June 2018. Prof. Sachidnanda Mohanty, Hon’ble Vice-Chancellor conveyed greeting to the University community for celebrating International Day of Yoga-2018. He appealed the University community to include Yoga as an integral part of their daily routine for a healthy and prosperous life in his message. 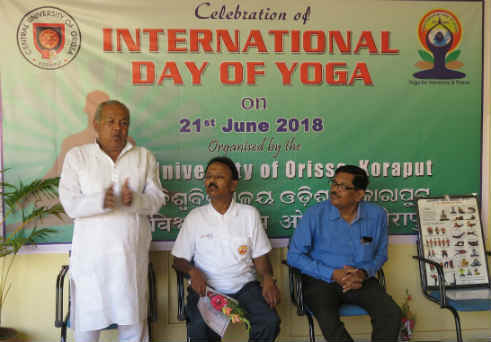 Dr. Amulya Ranjan Mohapatra, founder of the Rama Krishna Mission of Koraput and notable educationist, delivered a lecture on International Day of Yoga-2018. Sh. Birendra Prashad, retired yoga teacher, Central School, Raipur demonstrated various Yoga asanas. 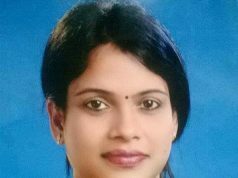 Prof. Bhabani Prashad Rath, OSD- Admin, Exam. and Student Affairs Dr. Asit Kumar Das, Registrar, and Prof. K.C Raut, Dean-Academics were present on this occasion. The programme started with the welcome address by Prof. Rath. He said “Yoga is the symbol of the cultural heritage of India. Yoga is the best way to control stress and to lead a healthy, calm and happy life. Everyone must practice various asanas of Yoga”. He put light on the historic declaration of UN to celebrate 21st June as International Day of Yoga. Dr. Amulya Ranjan Mohapatra, a yoga expert of the region delivered the lecture on benefits of Yoga for a healthy and prosperous life. He also demonstrated some simple asanas like padmasana, sokasana, sabasana, birasana, bhamari pranayam and kapalbhati for daily practice. Sh. Birendra Prashad, an ardent Yoga expert demonstrated various Yoga asanas for practice of the University community. 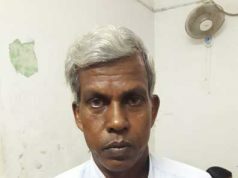 He demonstrated Asanas like Kapalbhati for curing of diabetes, anulama bilama for blood pressure and Pranayams like Kumbhaka pranayam, Nadi shodha pranayam and Surya namashkar and explained how these Asanas and pranayams are helpful to strengthen physical and mental health and also to cure different diseases. He also described that Yoga is a way to get moksh – the spiritual content in life. Dr. Das in his address talked about the various benefits of Yoga. He said “Yoga is part of the ancient Indian culture and it’s a way of life for a healthy and active life. This is very much helpful for handling to handle for today’s stressful and busy life”. Under the auspices of the MHRD and the UGC all the central higher education institutions of the country are celebrating the 4th International Day of Yoga today. The UN General Assembly declared June 21 as the International Day of Yoga following a proposal by Hon’ble Prime Minister Shri Narenda Modi during his speech at the UNGA. Dr. Phagunath Bhoi, Public Relations Officer extended the vote of thanks. All the staff and students of the University were present in large number on the yoga session.